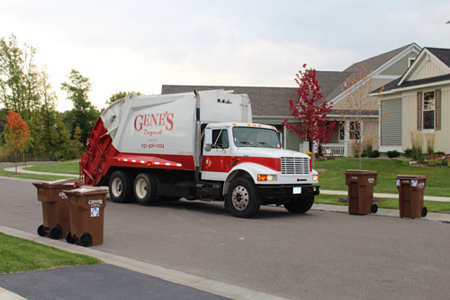 Gene’s Disposal Service cares about the environment, supports recycling efforts, and offers single-sort residential recycling services. Just put all recyclable items in one container. There’s no need to sort! Recycling has never been easier! 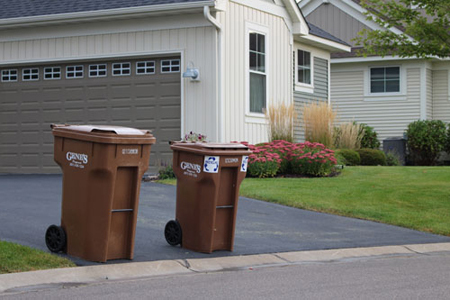 We offer residential recycling services to the following cities. Because service areas within each city vary, please CALL US to confirm your specific address. 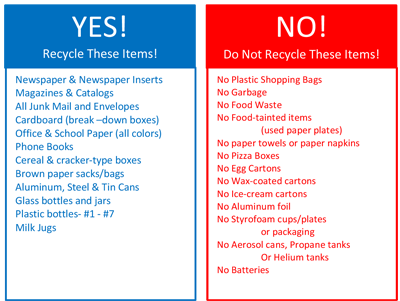 The Recycling Schedule for Little Canada is every other week. Recycling is offered to all commercial accounts in our service areas. Please call us for details.